ASAP Rocky in Montreal or Quebec City? Inform me about the next events for ASAP Rocky. Enroll yourself to our priority waiting list for ASAP Rocky to be alerted when new tickets are available. Filling this form doesn't engage you to any purchase. ASAP Rocky will be back in Laval on January 13, 2019! This time, ASAP Rocky will be performing at la Place Bell. The last ASAP Rocky concert in Quebec dates back to his presence at the Festival d'été de Quebec in the summer of 2014. ASAP Rocky will return to Quebec after nearly 5 years of absence, as part of the Injured Generation Tour, during which he'll visite 18 North American cities this winter. 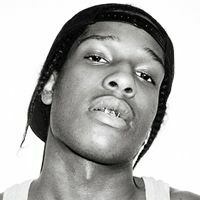 Do not miss your chance to see ASAP Rocky in Laval!